Know Your Worth: Why Caregivers Matter! 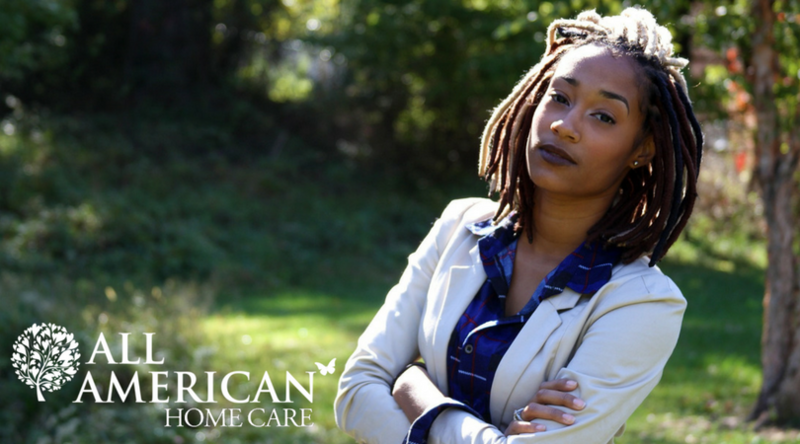 A career in home health care is one of the most rewarding career paths you can choose. Each day you have the opportunity to make a difference in someone’s life while enjoying the personal relationships you build with your patients and their families. Each day you do meaningful work. You help patients with daily tasks and provide companionship for those who need it. You provide support to the families of patients while helping the patient to remain comfortable and safe at home. You are able to deliver complex health care to your clients, helping them avoid institutionalization in a hospital or facility. This meaningful daily work will provide you with personal fulfillment. But in return, are you given what you are worth? Each day you give of yourself to others and while the personal fulfillment helps increase job satisfaction to an extent, being paid what you are worth is also important. You put in long hours each week. You are also driving to each patient’s house, putting mileage and wear and tear on your vehicle. When considering a job in the home health care field, look for jobs that offer higher salaries. You should be able to work your job and have enough money to pay your monthly bills, maintain your vehicle and still have some money left over to use how you like. Working paycheck to paycheck or not having enough money each month adds unnecessary stress to your life that can hurt both your work life and your personal life. Know your worth and choose a job that pays you right. You should be able to enjoy your career and personal life without constantly worrying about money. At the end of a long day, it can be hard to motivate yourself to drive to the office just to pick up your paycheck. It also adds more mileage and wear and tear to your vehicle. You might even consider not picking up your paycheck until you head to the office another day, combining trips, even if you really need that money in your bank account. Is that added hassle worth it? Choose an employer that offers direct deposit of your paychecks. This way, your money will appear regularly in your account and you don’t have to go and pick up your check! Not only does it save you a trip to the office, but you also don’t have to worry about money more than you should. Changing employers can sometimes be a hassle. Receiving a signing bonus can help to ease that transition of when you will receive that next paycheck, cover a little of your moving costs or even just be some extra pocket change you can use to treat yourself. It’s also a way to know up front that an employer really does appreciate their workers. Nothing kills job satisfaction like having a harsh boss or gossipy co-workers. A friendly work environment will help you fit right in and keep your stress levels down. You might have to do a little digging to get this information, such as ask current or former employees about the work environment. Or check out the business ratings of a potential employer online. The work you do each day for your patients can take an emotional toll on you, your coworkers and higher ups should be there to support you, not bring you down. You are worth a work environment that is supportive and friendly. When you do have to head into the office, having a central location or multiple locations can really help cut down on driving time. This will leave you more time with your patients and spending less money filling your car up with gas. Having an employer that respects that by having convenient locations is certainly worth it. Each day you put in long hours taking care of others. Knowing your worth will help you to choose an employer that appreciates you and all the hard work that you do. But we hope that no matter where you decide to work, that you find the place that is right for you. Home healthcare plays a pivotal role in the lives of many in our communities.